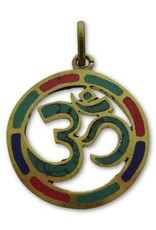 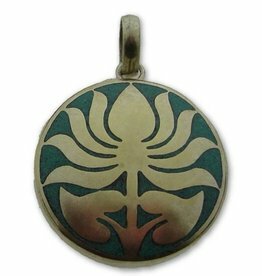 Round flat pendant with the Hindu Ohm symbol made of brass from Nepal. 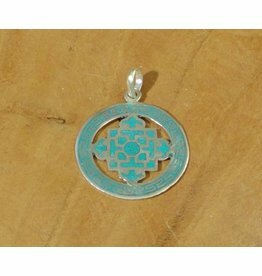 This pendant is inlaid with turquoise, lapis lazuli and coral stones. 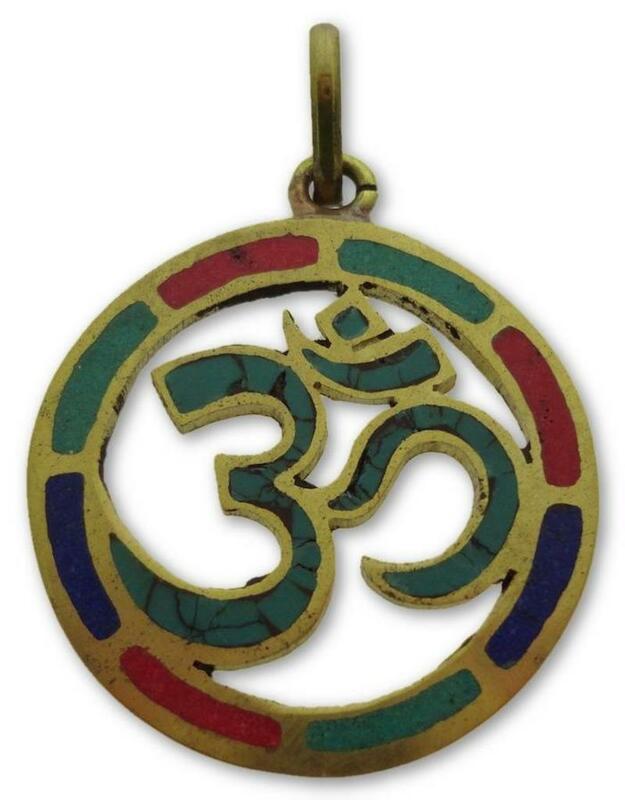 Ohm (also written as Om or Aum) is a mantra and is the most known and important sound in Hinduism and Buddhism. 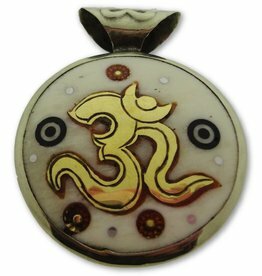 It is a mystical word and mostly written in the beginning of sacral texts or prayers and stands for invocation, a blessing, a confirmation and a promise. 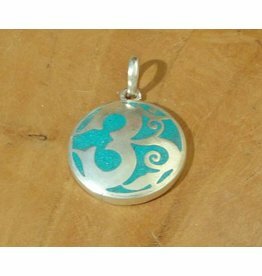 The pendant is 3 cm x 3 cm x 0.1 cm (with ring 4 cm).